I personally use this resource as one of the activities in my reading rotations (in Year Two). Every student completes the purple part of the table. The blue part is for my students that are working on a higher level and need a bit more of a challenge. 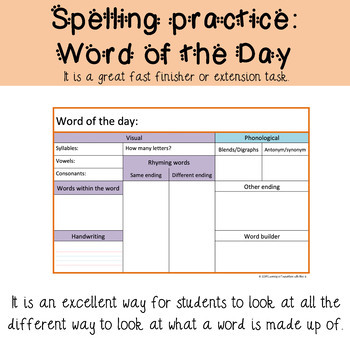 It is an excellent way for students to look at all the different way to look at what a word is made up of. It can also be a great quick finisher task or extension work.